The maximum number of four tickets available per purchase for each event is the maximum number permitted per household. Your name, credit card, address, and email address will be verified. Venue reserves the right to cancel any orders in excess of the stated ticket limit. Any tickets suspected of being purchased for the sole purpose of reselling can be cancelled at the discretion of the Paramount Theatre. Jeff is our great, wry, American consolation-poet. I don’t mean this abstractly: to see him play is to find yourself in a crowd of people being actively consoled — being moved, reassured, validated, made to feel like part of a dynamic aural friendship. Jeff told me once that what he’s trying to communicate to his listener is: “You’re OK. You’re not alone. 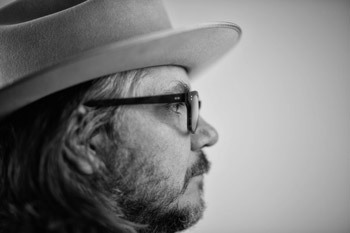 I’m singing to you, but I also hear you.” A testimony to the value Jeff places on this connection: after playing a number of solo acoustic shows in 2016 and 2017, he decided to make an album of those songs that seemed to speak most directly to those audiences. WARM is that album.